Utah's Custom Quality Cabinets Without The Custom Shop Price! We are a family owned and operated business. We serve all of Utah and are working hard to build a strong reputation in the Cabinet industry. We look forward to working with you! Utah County's Custom Cabinetry Specialist | Best of Houzz 2018! I consider cabinet making an art and I have enjoyed creating works of art for others for over forty years. I worked along side an excellent craftsman for over eight years where I gained much insight. Custom cabinetry for Kitchen and Bath. D&D Custom offers over 21 years experience in the industry. What sets them apart is their quality products, attention to detail, the best service, and exceeding customers expectations. They back that up with their reviews! D&D is a unique business offering a full spectrum of options and services for full remodeling projects and new construction, specializing in custom cabinets and counter tops . D&D offers an unlimited selection of wood species, door styles, stains, and glazes through its vast connections to the best local manufacturers including: Custom European cabinetry to the most affordable modular cabinetry. So whether you are looking for only the very best quality, or the best value for your dollar, D&D has the solution! D&D also offers the best selection & pricing for Granite, Quartz, Solid surface, and Laminate counter tops. Homeowner's, contractors, and landlords welcome! D&D takes you painlessly through the process of selection, design, demolition, and trades scheduling all the way through to the installation process. D&D is able to offer the best selection, quality, AND price due to its low overhead and our relentless search for quality at the best possible price. This enables D&D to offer a Guarantee of Your Complete Satisfaction! If you are not completely satisfied, we'll make it right! Your project will be completed ON TIME, and we clean up after ourselves! That's what sets us apart from the rest. D&D is an A rated business on Angie's List and has received it's Super Service Award for the past 5 yrs in a row. Projects vary based on the scope of your project including the layout, materials, and labor needed. Custom Kitchen Cabinetry $8,000-$90,000K; Full Home Cabinetry (multiple rooms) $15,000-$150,000; Custom Vanity $1,000-$3,000; Entertainment Centers $2,000-$15,000; Mudroom $2,000-$12,000; Pantry $1,000-$8,000; Laundry Room $1,000-$8,000; Office $1,000-$10,000. At Rob Terry Cabinets, we are committed to earning customers for life. RTC is Utah’s premier cabinet company. Our work has been featured in Utah Valley Home Builders Association’s Parade of Homes. We are a small but quickly growing company, so customer care as well as building lasting relationships is our top priority. Together with our experienced design team, we want to ensure that you are getting the personalized attention you deserve. Each project is vastly different, as is each client. It is our goal to customize cabinetry for your home or office. Whether the job is large or small, old world and over the top, or simple and contemporary we can make your vision a reality! From my early boyhood days, I have had an interest in working with wood to create beautiful works of art. I took the basic woodworking classes throughout my school years, I also took a cabinetmaking & millwork class for two years that I thoroughly loved. I have worked at a couple of different shops, one of which I worked along side an excellent old craftsman for over eight years where I gained much insight and experience. I have always had a passion for creating beautiful works of art. As a child I loved to draw, a talent that I acquired from my mother who is an excellent artist. This talent has helped me in designing and creating cabinets throughout the years. I would also work along side my Mother in our yard planting flowers & vegetables, and I helped keep the weeds out, to make our yard a beautiful work of art. I worked along side my father as he would build things and work on projects around our house. He was creative and often times invented new tools, to make things better or easier, a trait I acquired from him, which has helped me in my work. He was a man of integrity, always one who served others, and he was always concerned with how he could help them out. I owe who I am to my dear artistic loving Mother and my creative, gentle compassionate, serving Father. I consider cabinet making an art, and I have enjoyed creating works of art for others for over forty years. Davis Mill and Cabinet has nearly 40 years of experience in custom cabinetry. This experience allows us to offer an unrivaled range of cabinetry styles, woods, finishes, and door styles. Davis Mill & Cabinet retains its market niche because of its flexibility and creativity. The cabinets we manufacture range from classic old-world style to the sleek, contemporary look of exotic woods. One of our company’s hallmarks is the large variety of door style and finish options. Dealers and customers appreciate the support and communication that they receive during the cabinet making process, and as a result the finished product is as they desired. Brent and Mark Davis began making cabinets 35 years ago, and, as time has passed, and cabinets have changed, they have increased their ability to produce what clients have asked for. Teerlink Cabinet & Millwork has been serving clients and building custom cabinetry since 1975. We are proud to say that we are an American family-owned and operated company. Our company was founded on the core values of hard work, integrity and a passion to WOW our customers. We have an award winning design staff, skilled craftsman, and our own professional installation team to ensure that your project is designed, built, and installed to amaze you. Cody's Custom Cabinet, Inc. is a Utah-Based, custom woodworking studio that specializes in the design, fabrication and installation of all areas of cabinetry and cabinet components. We are a family owned and operated business. We serve all of Utah and are working hard to build a strong reputation in the Cabinet industry. We saw the demand of needing to help people save a LARGE amount of money on cabinets. So, three years ago we added our first line of Quality Kitchen Cabinets and have been going strong ever since. Our low overhead enables us to provide prices that are substantially less than our competitors prices and in turn we pass the savings onto YOU. Our high volume sales are making us one of Utah's fastest growing cabinet dealers. We guarantee the lowest prices in Utah AND WE PROVE IT!!! 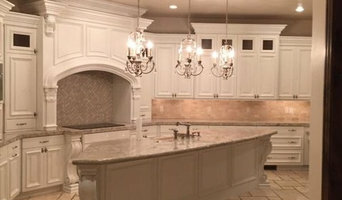 Please check out my painter at utahcabinetrefinish.com you can also find him at Facebook under BC finishings. At EAGLE VALLEY DESIGN, our goal is to not only help you design and build what you are looking to customize, but to make the process easy and enjoyable for you. We are a full-service design/build company with a wide range of experience. We can help you with anything you can envision. We would love to help you with your custom cabinets to just a simple free standing book case. Our excellent reputation and long list of satisfied clients attest to our superior craftsmanship, attention to detail, clear communication, honesty and integrity. Our company is based on the belief that our customers' needs are of the utmost importance. Our entire team is committed to meeting those needs. As a result, a high percentage of our business is from repeat customers and referrals. We would welcome the opportunity to earn your trust and deliver you the best service in the industry. We have over 17+ years experience in the cabinet industry. From traditional to contemporary to modern rustic, we bring your style to life! Your home or business project is in the experienced hands of a professional who truly cares about customer service and ensuring you're satisfied with the end result. We specialize in custom cabinetry work including doors, cabinets, mantles, entertainment centers, crown molding and all your cabinetry needs. We have experience in large scale commercial and residential projects from new construction to smaller scale remodeling. Contact Scott Dahl for estimates or more information. Cabinetry built to fit you and your home. Hand-crafted to meet your needs and specifications. For those looking to make a difference in their home. We are constantly growing and expanding our experience with a variety of designs. We use the finest of materials and are committed to our craftsmanship. 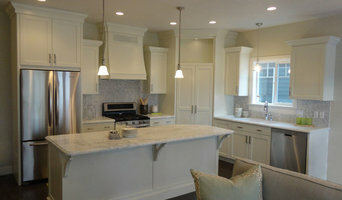 We are based in Utah, providing custom cabinetry. When you think about cabinets, your mind probably goes straight to kitchens and bathrooms. But Lindon cabinetry professionals’ abilities extend far beyond those obvious spaces. If you need built-in storage, shelving or custom case goods, no matter what the room or purpose, cabinetry experts can help. Their focus on details and space-planning skills can help you squeeze functionality from even the tiniest corners of your Lindon, UT home. Cabinetry professionals design, construct, refinish and repair banks of conventional cabinets, but they also create customized storage and shelving for home offices, playrooms, bedrooms, media rooms and other spaces. 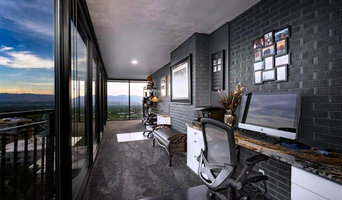 They’re in the know about Utah design trends and different cabinet styles, as well as the latest in special inserts and other options that boost functionality. Cabinetry professionals also can craft furniture to your specifications, such as a corner cabinet for a kitchen or a dining room hutch. In addition, Lindon, UT cabinetry pros can help you give worn or dated cabinets a makeover. They can replace doors; add glass inserts, decorative moldings and other details; or give cabinetry a new coat of paint or specialty finish. Your cabinetry professional might work closely with an Utah kitchen designer, builder, remodeling contractor or interior designer. Here are some related professionals and vendors to complement the work of cabinets & cabinetry: Kitchen & Bath Designers, Kitchen & Bath Remodelers, Interior Designers & Decorators, Closet Designers and Professional Organizers, Woodworkers & Carpenters. Find a cabinetry professional on Houzz. Narrow your search in the Professionals section of the website to Lindon, UT cabinets and cabinetry. You may also look through Utah photos to find examples of cabinets that you like, then contact the cabinetry professional who worked on them.